Do You Desire to Learn to Draw and Paint Well? Do you desire to learn to draw and paint, and create art you can be proud of? Do you want some guidance the help you get moving again? Or, maybe you just want to take your drawing and painting skills to a higher level? Art can enrich your life. It is up to you to make that decision. Learn the essential techniques. Learn to think like an artist. Learning to draw and paint is a journey with both rewards and challenges. Talent alone will not do it. You need techniques, insights, and intuition. Combine that with persistence and dedication, and you will create the art of your dreams. Here you have the opportunity to learn to draw and paint. Use my tips, techniques, teachings and online resources to improve your art from the comfort of your home. Grasp the basics of drawing. Use my guidelines and tutorials, and learn to draw effectively and accurately. Imagine the confidence that comes from being able to draw anything you want. Plus, if you learn how to draw well, painting becomes easier, too. Explore different painting media: oil, pastel, oil pastels, watercolors and acrylics. Apply the techniques you learn from new media to your chosen medium to strengthen your visual language. Dig deeply into the special challenges of painting various subject matter, such as figures, landscapes, and still life. Different subject matter offers different challenges. Learn how to tackle them and expand your repertoire. Go beyond mechanistic techniques and enhance your artistic voice by learning the thinking habits and disciplines of successful representational artists. Develop and fine tune your style with exercises and tutorials drawn from my experience as an art teacher. Work through these exercises to gain the skills you need to take you where you want to go. So let's learn to draw and paint together! Images from the artist/webmaster are all copyrighted. Explore drawing and painting is one artist' distillation of her teachings and insights on painting and drawing. Search your art lessons here. The How to Draw and Paint Blog keeps you up-to-date with new additions and changes to the explore-drawing-and-painting.com web site. Subscribe here. These comprehensive drawing lessons are what I teach the beginner and intermediate level art students in the class. Each element in each drawing lesson builds up on next. Apply my guidelines and helpful tips to learn to draw people. To help you create an accurate realistic drawing, consider these four tools. Gridding, opaque projectors, pantographs, and proportional dividers are no substitute for drawing skills. Use a simple approach to color theory to enhance your drawings and paintings. With a color wheel as your guide, use your own powers of observation as you experiment with different color palettes. Learn to inject color into your whites to create more brilliant light. With stronger picture composition, you can strengthen and enliven your paintings. These articles will show you how. All the information you need to start painting with acrylics. Discover this versatile medium using these techniques and tips. Pastels are a vibrant and powerful artistic medium. Absorb every article about pastels here to get you started. Oil pastels, as a fairly new medium, afford many versatile possibilities. They are ideal for oil painting like effects, and almost can match dry pastels if you have problem with dusts of dry pastels. Learn watercolor painting as an exciting medium. Experience the transparency and the array of watercolor painting techniques at ease. In the introduction to colored pencils, you will learn what they are, how they work, the essential techniques and the tutorials. Here are some art tips to help you develop your skills and make the most of the time you invest in making art. Painting Style -concerned about whether you have your own? Read my tips. 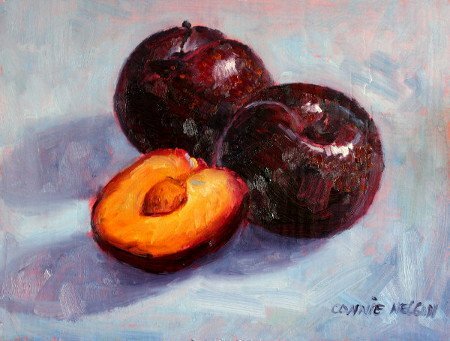 Often beginner artists are concerned about whether they have a painting style. Your unique style comes naturally as you grow with your techniques and your composition. Creativity does not require talents. It takes desire, determination and perseverance. Have faith in your art and be patient with how the creative process evolves. Appropriate framing can really enhance a painting's impact, while lackluster framing will tarnish even a good painting. Use my framing tips to save on cost while still flattering your artwork. 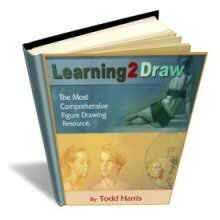 Discover the most effective drawing aid online and witness a speedy improvement in your drawing techniques. Curious about how the site is built, and also want to find out what motivated me and other folk like you, and made my dream of combing both passion and financial independence possible? Contact me and let me know your thoughts and comments. Explore Drawing and Painting is as accurate as we can manage, but use it at your own discretion. You are only one step away from learning to draw accurately! Discover the powerful drawing method that makes sense here! Seek to draw well? Get started for a solid foundation. "Hi Connie, Your site is one of them I have looking for, a long time now. It is very informative and precise." "Connie - I am most appreciative of your website. Only recently have I begun fulfilling my dream of oil painting. With only a few lessons behind me, I am now on my own and your website contains the most comprehensive information in language and terms easily understood. I thank you for taking the time to put this valuable guide together." "I have been online plenty of time to try and find great advice from great artists (ones who are still alive), and I found that your website is very insightful. I am happy to see good positive tips and information for the consideration of artists seeking help. I just wanted to thank you for having this site." "I found your website by searching Sargent. I have never left a message on other sites but feel compelled to compliment you on your website. It is freely giving in information and advice. The site is very responsive and easy to use because it is well laid out. The information is fresh,useful and positive. It probably took a while to plan and finalize but the effort is noticeable and worth it to me. I really enjoyed reading about Sargent whose technique both in oil and watercolor are what I want to see in my own work. Very, very good job. Thanks. "You don't know how many hours I spent searching and searching for "down to the point" instructions for using layers and glazes in oil painting. I was just so confused about the procedure. I am having problems beginning an oil painting. I just happened to google a certain word(which I can't recall anymore) and came across your site. I love the way you simplify the procedures and give examples and compare using words, like "almost like you add a VEIL to it." You seem like a natural instructor! Thank you, I learned so much and I am definitely bookmarking you site under my favorites!"